Mazda vehicles are made to push the limits of driving. To prove it, the brand is offering Mazda Unlimited. * This warranty is unique to Canada, offering extensive coverage without kilometre restrictions. If you want a car that comes with guaranteed durability, check out the latest lineup of Mazda vehicles with Mazda Unlimited. There are no kilometre restrictions-your Mazda can drive across Canada with ease and without limits. These warranties are offered standard on all new models. This means you can truly enjoy every minute behind the wheel, without worrying about coverage limitations. Mazda vehicles from 2015 onward come with a new vehicle warranty. 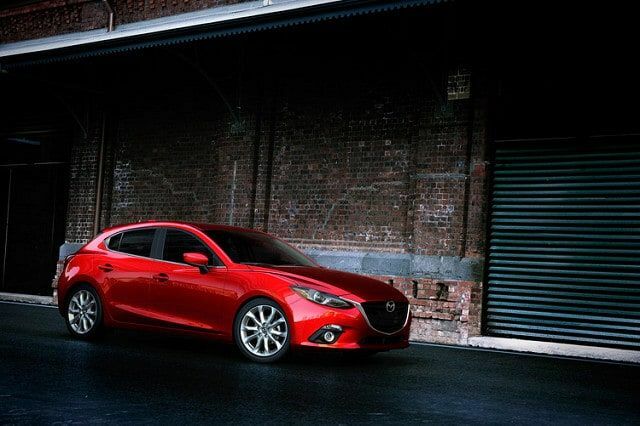 If there is a defect with a part that causes failure, Mazda will replace it at no cost. You're covered for three years, regardless of what it reads on the odometer. You can travel with peace of mind, in crowded urban streets or on the open road. You're covered for three years of roadside assistance thanks to Mazda Unlimited. This includes accident assistance, jump starts, lockouts, flat tires, towing, and more. This covers the essentials like the engine and transmission for up to five years. Basically, the powertrain is any mechanism that transmits power from the engine to the axle. Again, you can drive as many kilometres as you want without limitations. If there is an issue with an original component, you're covered. Anti-perforation warranties cover things like bodywork and body panels, from the window line down. If the body doesn't hold up like it's intended to by the manufacturer, you're covered no matter how far you've travelled. For more information about warranty coverage, refer to your specific warranty or ask the dealer. Click here for information on Mazda Unlimited. Some restrictions may apply. *MAZDA UNLIMITED refers only to an unlimited mileage warranty program under the terms of which there are no mileage limitations on the following specific Mazda warranties: (i) 3-year new vehicle; (ii) 3-year roadside assistance; (iii) 5-year powertrain; and (iv) 7-year anti-perforation. MAZDA UNLIMITED is applicable only to 2015 and 2016 models. All Mazda warranties remain subject to the terms, limitations and restrictions available at mazdaunlimited.ca.